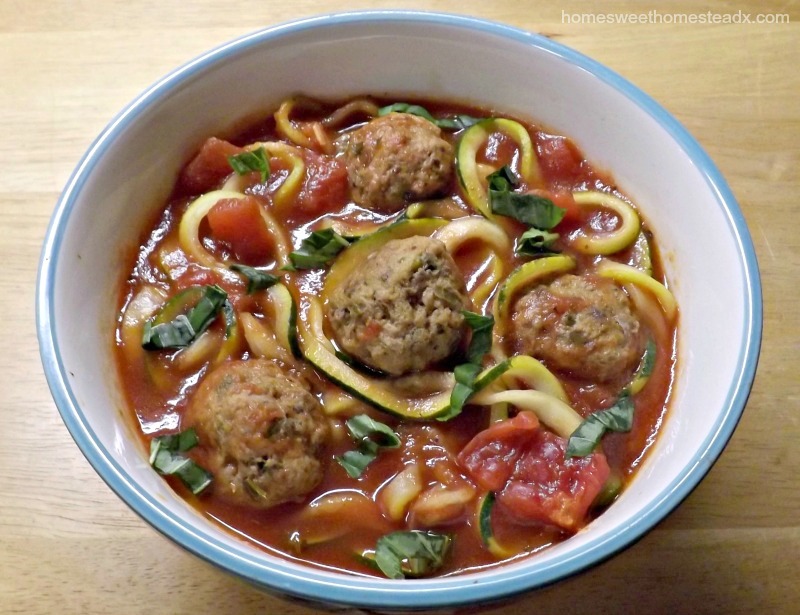 Zucchetti and Meatball Soup: A creamy tomato soup loaded with meatballs and "zucchetti" noodles, and topped with fresh basil. You'll never look at spaghetti and meatballs the same way again. 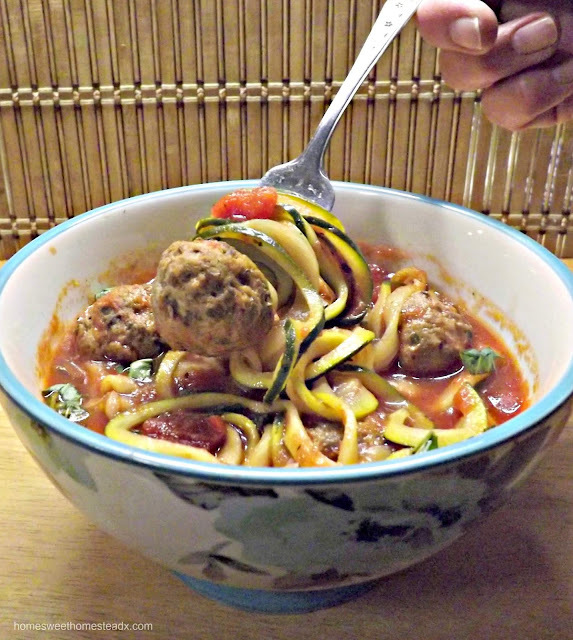 Spaghetti and meatballs with a twist... I turned it into a soup! 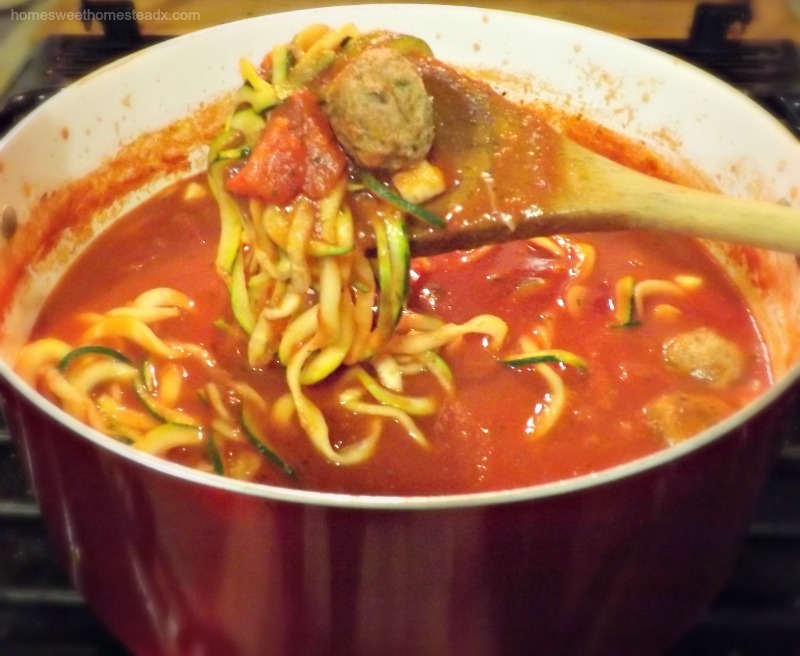 And not just any old soup either, Creamy tomato soup is transformed into something special with the addition of tender turkey meatballs, and zucchetti (spiralized zucchini noodles). Remember enjoying spaghetti and meatballs as a child? Well now you can get that same comforting feeling, with this grown-up version. It's time for another monthly installment of #SoupSaturdaySwappers, and I can't wait to share this delicious soup recipe with you. This month's theme is meatballs, chosen by Sneha of Sneha's Recipe. So I took everyone’s favorite childhood food memory, and turned it into the coziest soup ever. I made it low FODMAP as well. 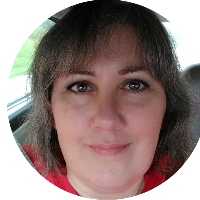 I'm having lots of fun with my new "normal" as I like to call it. A low FODMAP diet may seem restrictive at first, but once you start experimenting and realize that all you have to do is become a little more creative with your recipes, it doesn't seem so strict after all. I hope you’ll give this soup a try! 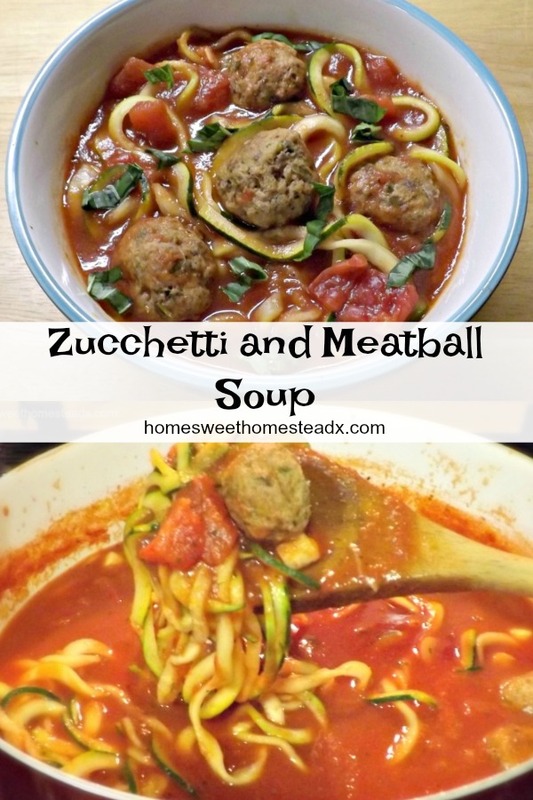 And be sure to check out all of the other Meatball Soup recipes by fellow bloggers in the links below. FOR THE MEATBALLS: Preheat oven to 350 degrees F.
Place all ingredients in a large bowl and mix thoroughly. Don't overmix or the meatballs will turn out tough. Roll into meatballs about the size of golf balls. Place meatballs on a greased baking sheet, and bake for 25 - 30 minutes, or until cooked through. In a large stockpot whisk together the tomato sauce, diced tomatoes, vegetable broth, oregano, dried basil, and thyme. Bring to a boil. Add the meatballs and reduce to a simmer. Cook for 7 minutes then add the spiralized zucchini. Cook for 3 - 5 minutes more, or until zucchini is cooked to your likeness. Taste for seasonings and serve immediately, garnished with basil. Check out the Meatball Soups other bloggers made for March 2019! 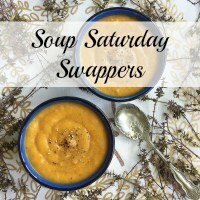 Would you like to join Soup Saturday Swappers? Just send an email to wendyklik1517@gmail.com. Make sure to visit our Pinterest board as well, to find lots of great soup and stew recipes. Did you make this recipe? Please tag @xhomesweethomesteadx on Instagram and hashtag it #xhomesteadrecipesx, for a chance to be featured.